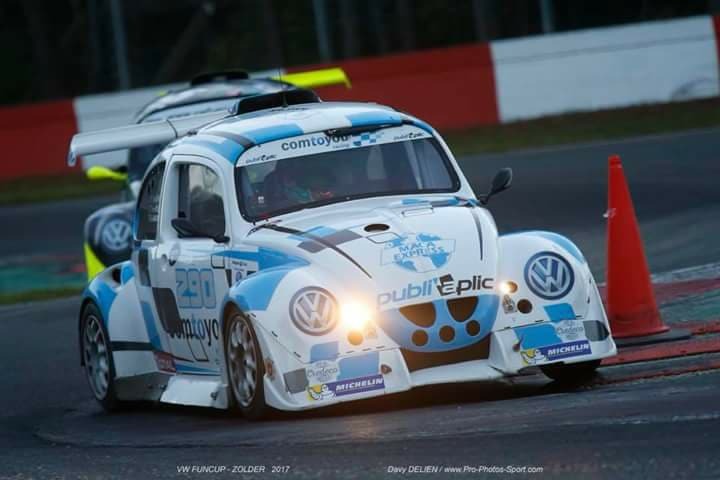 BlueStar’s #77 youngster driver Tristan Földesi excelled at last weekend’s 8h VW FUNCUP event at the legendary circuit of Zolder. He debuted in autosport at the wheel of the #290 ComToYouRacing car, and posted impressive laptimes for a rookie. He matched the pace of frontrunners in the sport and for sure gained the respect of many of his competitors. Hopefully the jury of the RACB National Team will have noted that too, as he bids to win this competition later this month! For sure, to be continued! ..